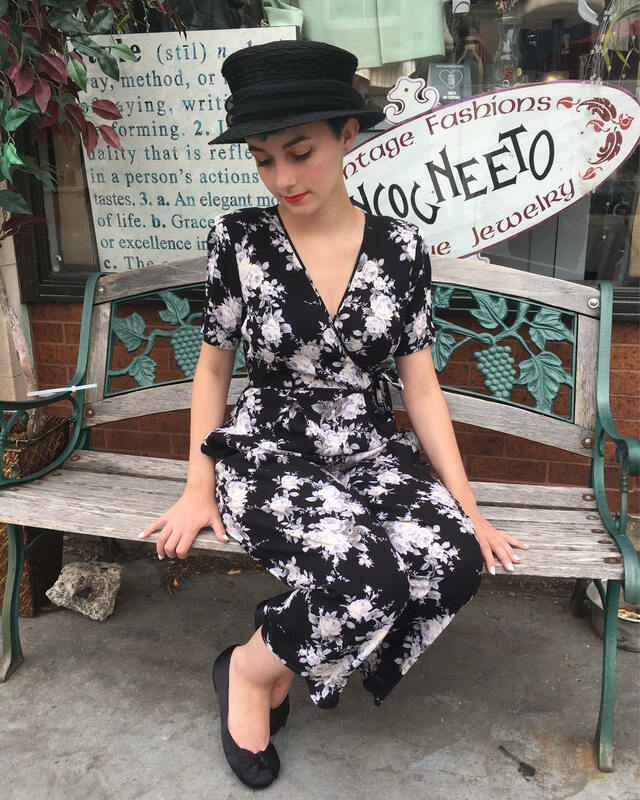 From the mid to late 1980s comes this Vintage rayon jumpsuit in a black and white floral print with subtle tones of blue and gray. Features a wrap tie waist, pockets and flared legs. It is 100% rayon with easily removable shoulder pads. Such a fun romper! This outfit is a modern size 3/4 (says 4) on the tag. The entire romper measures 49" long from the shoulder to end of ankle hem. Looks to be in pretty good condition, The pants hem appear to have been marked (with chalk) and pinned to take them up. I have removed the straight pins but there is still a fold there.